While we do want to see our kids to become academically proficient, it is more important for us to instill in them core values that would hone their character and attitude later on in life. For us, it is not enough just to have the smarts–the heart condition is more important. Our homeschooling is not just limited to answering PACEs for schoolwork. We want them to be conscious about our society and not just be wrapped up in their comfortable little world. They need to see the reality around us and know that they can do something good in it. SM City Bacolod mall manager Jorge Jardiolin and a representative of Kalipay Foundation during the ceremonial turnover of the SM Bears of Joy 2015. And yesterday, we were privileged to be invited by SM City Bacolod PRM May Castro to take part in the turnover of the bears to the kids of Kalipay Negrense Foundation — a Bacolod-based non-profit organization who are actively involved in rescuing kids at risk and raising them to eventually be able to function in the world again as productive individuals. Our family at the turnover ceremony at the Kalipay Negrense Foundation. What a privilege this was! Kalipay Negrense Foundation got into my radar about three years ago and I have been wanting to bring my daughter Dindin there for an exposure trip but it was never pushed through. So I am so happy that we got this chance now and we also brought along our little one Shane. 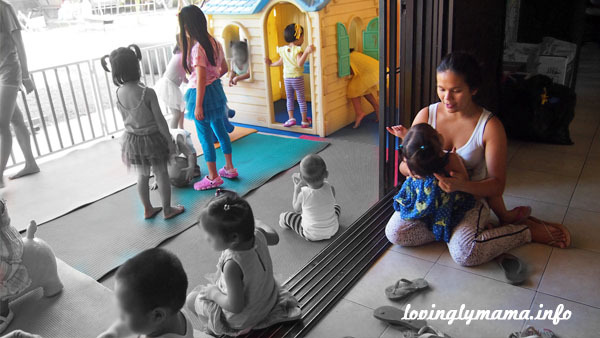 The volunteers at Kalipay Negrense Foundation take care of the kids very well. 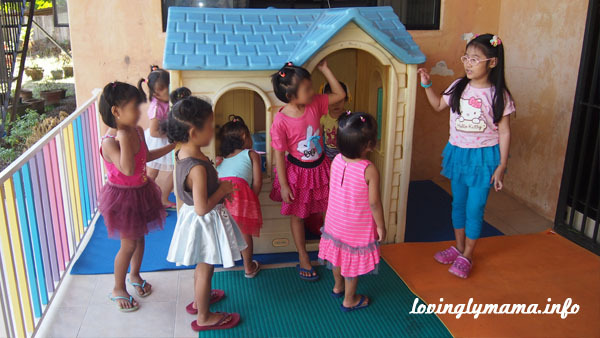 Despite the traumas they experienced at a young age, now they appear happy and well-adjusted. There was nothing really fancy in the ceremonial turnover but it was pure joy for us as well as the kids. What we appreciated the most is that we got to meet the kids who are in the protective and nurturing custody of the foundation. They were happy and healthy and well-mannered. Despite the many colorful bears on display, nobody rushed to get them until they were told that it was okay. The home was clean and orderly and their bedrooms were nice and comfortable. I am so impressed and all the more motivated to someday save up for a legacy gift in our children’s name to the foundation. We believe that when they grow up and see their names as donors of a certain cause, they will realize where our hearts and priorities and that they, too, will someday do the same. Dindin and Shane (inside the house) interact with the kids at the Kalipay Negrense Foundation. 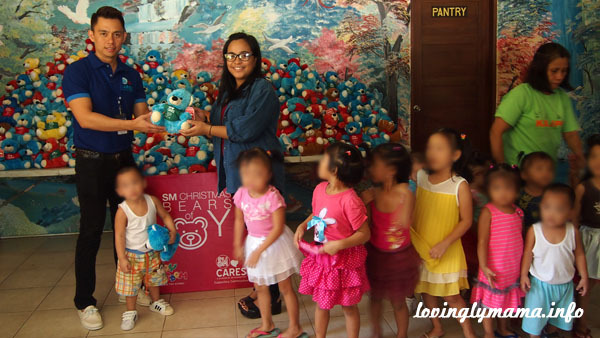 Dindin and Shane take part in handing out the bears to the kids at Kalipay Negrense Foundation. Siobe enthusiastically takes part in the giving. 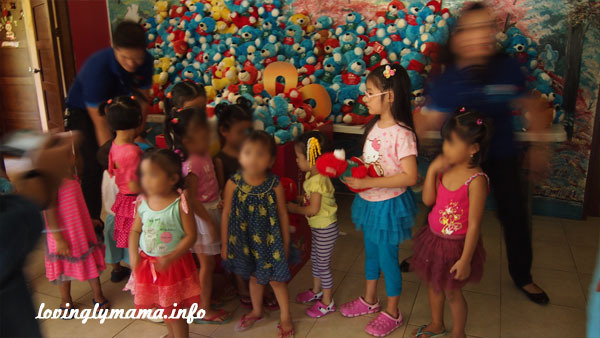 Our kids happily played with the residents of Kalipay and they also took part in giving the bears to the kids. What a wonderful way to spend our Friday morning! 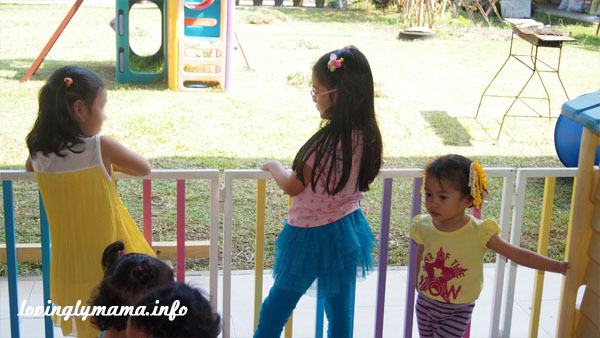 This is just one of our activities while homeschooling in Bacolod! 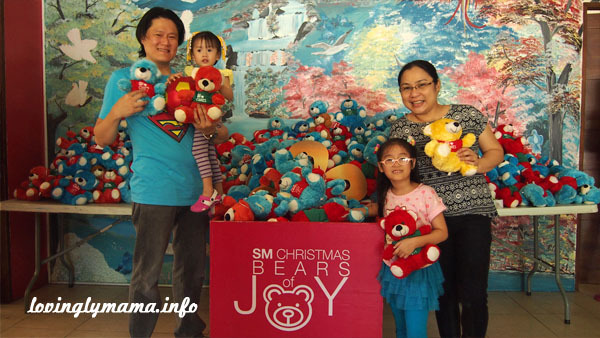 We intend to continue joining the SM Bears of Joy campaign for several years to come. Thank you for the opportunity. Dindin found a friend in this girl who I will not name. They are the same age. My family and the SM City Bacolod staff who visit Kalipay Negrense Foundation yesterday.